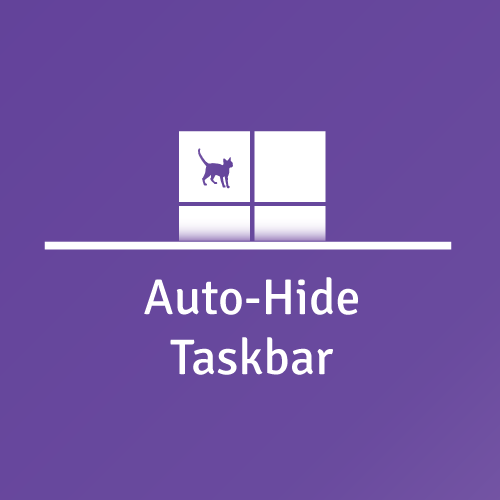 The latest version of our Auto-Hide Taskbar for Windows 10 is now available. You should see a notification within the app, or you can download the new file from your My Account page, or the Free Trial page. You can see which version of the app is currently installed by opening the app and clicking the “About” button. Applications can flash their windows in notification of something, which may not always be cleared until you go to that specific window. 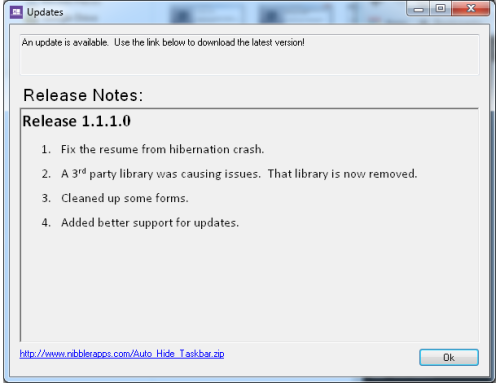 While these notifications are pending, Windows will prevent the taskbar from hiding. This experimental feature in the Auto-Hide Taskbar app attempts to clear the notification. This will have the negative side effect of hiding notifications you may actually want to see. 1. 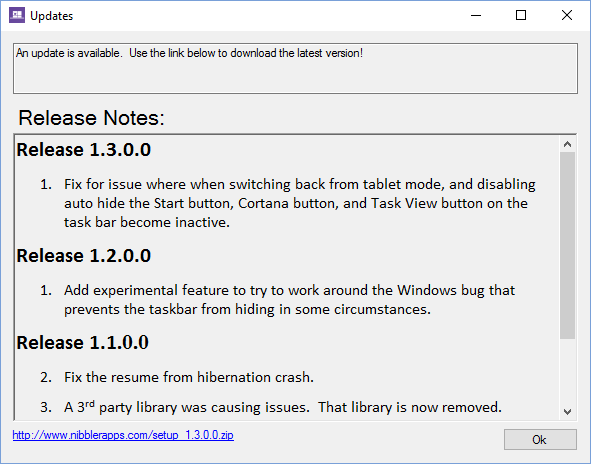 Fix for issue where when switching back from tablet mode, and disabling auto hide the Start button, Cortana button, and Task View button on the task bar become inactive. 1. Add experimental feature to try to work around the Windows bug that prevents the taskbar from hiding in some circumstances.